Get an engagement ring that the both of you will love with Sylvie’s sparkling collection of diamond engagement rings! 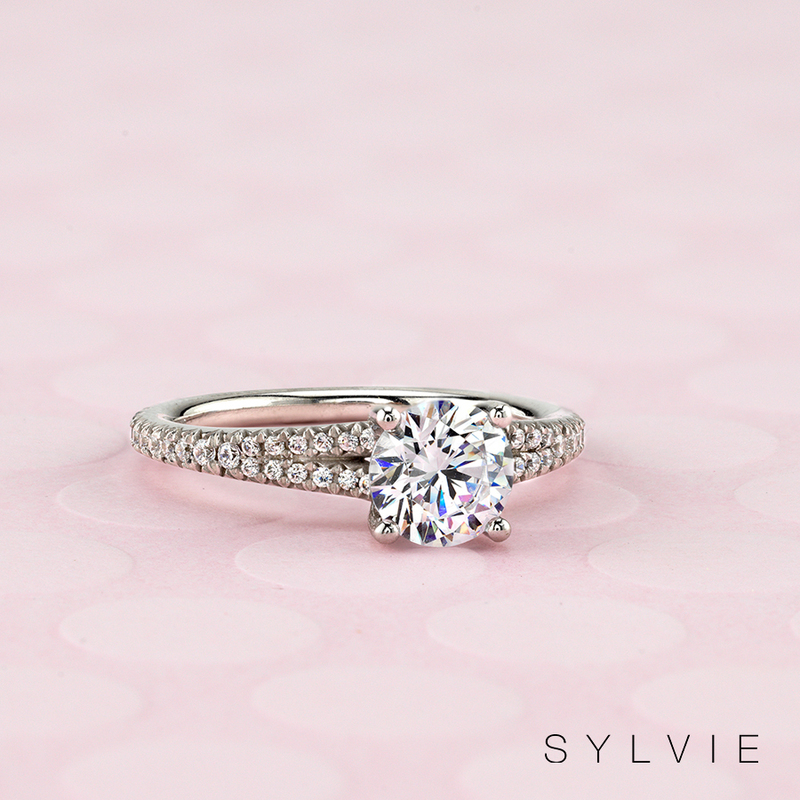 At Sylvie, we offer over 2,000 styles of engagement rings for you to choose from. The choices are endless when it comes to shape, style, metals, etc. Customizing is a great option because you can create something unique that only your bride will have. When choosing an engagement ring, think of her personal style. Is she more preppy in pink and rocking heels all the time? Is she more so into workout clothes and living a more outdoor/athletic lifestyle? These small differences in how she lives her daily life can really steer you in the right direction. 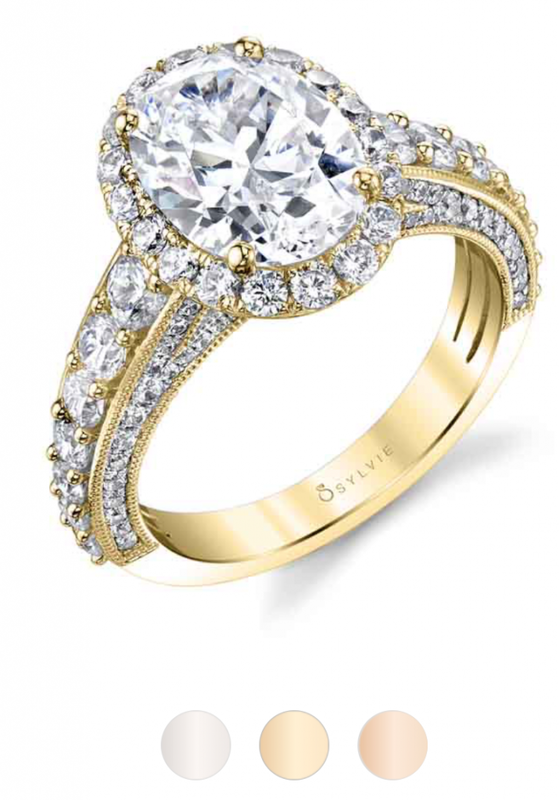 Glamour and romance go hand in hand especially with this gorgeous oval shaped spiral halo engagement ring! If your special someone is a hopeless romantic then look no further than our vintage inspired collection. Our vintage rings feature milgrain details, hand engraving, intricate patterns and much more. This gorgeous oval spiral engagement ring features a 2 carat oval center that sits perfectly in a shimmering halo of diamonds with a carat weight of 0.38 carats. From the dazzling diamonds on the shank to unique spiral band, this vintage inspired engagement ring is what every little girl dreams about! One thing that sets ours apart from the rest is the uniqueness of each engagement ring from the spiral band in this S1603 to some of our hand engraved solitaires such as, our S1715. Is she outgoing or more laid back? Another important factor to consider other than budget of course, is her personality. If she is a hopeless romantic, sweet and nurturing, a solitaire or vintage engagement ring might be the perfect fit. If she is creative and thinks out of the box, a different metal or a unique shape engagement ring might work best. 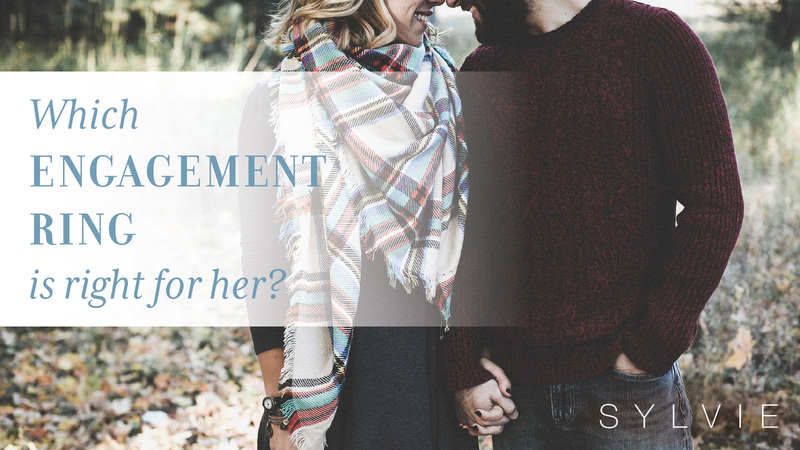 Think about what she likes to do and which characteristics would fit best with the engagement ring you choose. 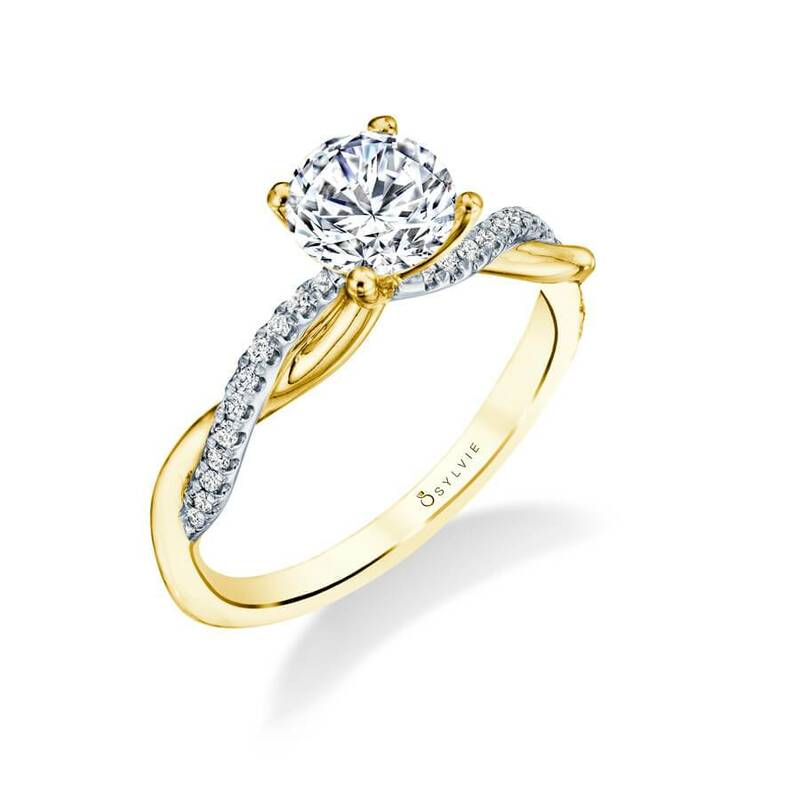 A class solitaire engagement ring for a classic bride. If you’re lady appreciates the simple things in life, a solitaire ring sounds right up her alley. You can never go wrong with a classic engagement ring especially a solitaire. Show her she is the only one for you with this Classic Split Shank Engagement Ring. This stunning engagement ring features a bright center stone with two rows of dazzling diamonds and a carat weight of 0.27. Who could resist this beauty? For an engagement ring that never goes out of style, let your bride see that your love is timeless! Lastly, you should focus on what her daily activities are. If she is constantly in the garden and isn’t one to remove her jewelry, maybe an engagement ring with gaps in the band such as one decorated with filigree, wouldn’t work well. A simple band with a single solitaire diamond might be more up her alley. She could get dirt caught in the ring and nobody wants to spend time cleaning it all the time. If she’s always on the go for her corporate city job – that 3 carat glamorous engagement ring might just fit her lifestyle! Just have a think of who your bride is and what you think will work best within her daily routine. If your bride to be is all about the fashion trends and the latest styles, rose gold would compliment her beautifully! With our emerald cut rose gold halo engagement ring, she’ll be the chicest woman in town! Our Yasmine, high polish spiral engagement ring features a 1 carat center with a spiraling two tone band of diamonds. This gorgeous ring holds a total weight of 0.14 carats. Pair this beautiful engagement ring with one of our stackable wedding bands for a look that she’ll fall head over heels for! Customize for the perfect match! 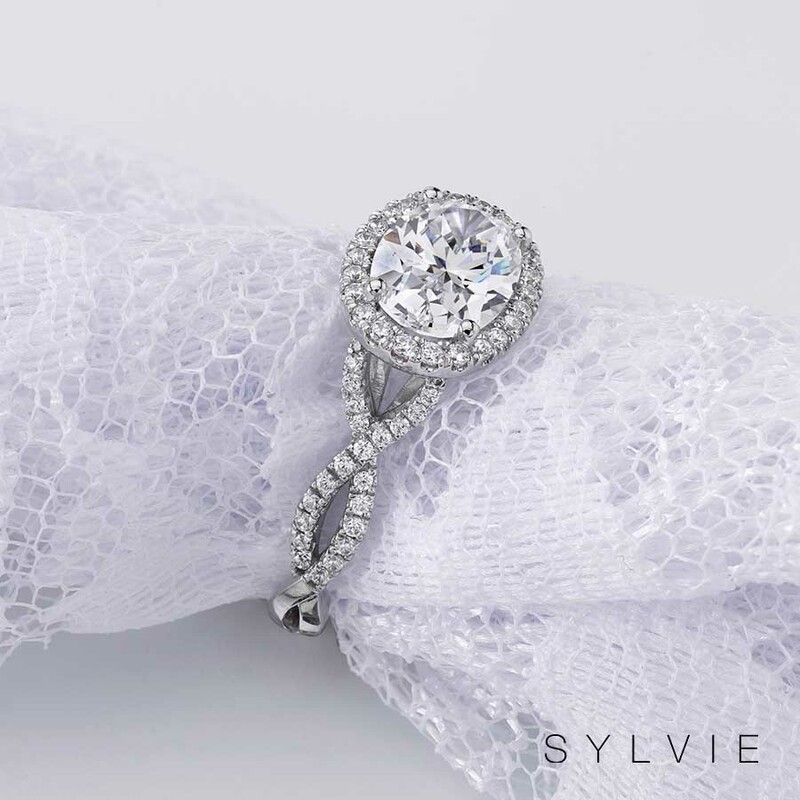 At the Sylvie Collection, you have the opportunity to customize anything you want. You can come if with your own concept or allow our team to help you choose exactly what you’re looking for. 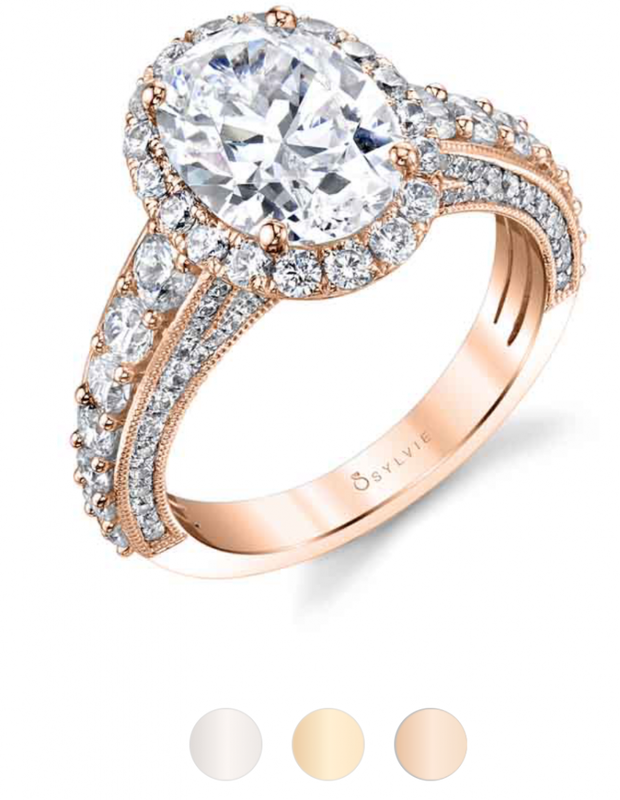 From shape to metal, you can go with an oval solitaire that has a rose gold band for more of a modern, two tone look or you can choose to stick with white gold, but add more diamonds with a double halo. The particular details come down to what you are thinking she will like, but also what you think is more her. 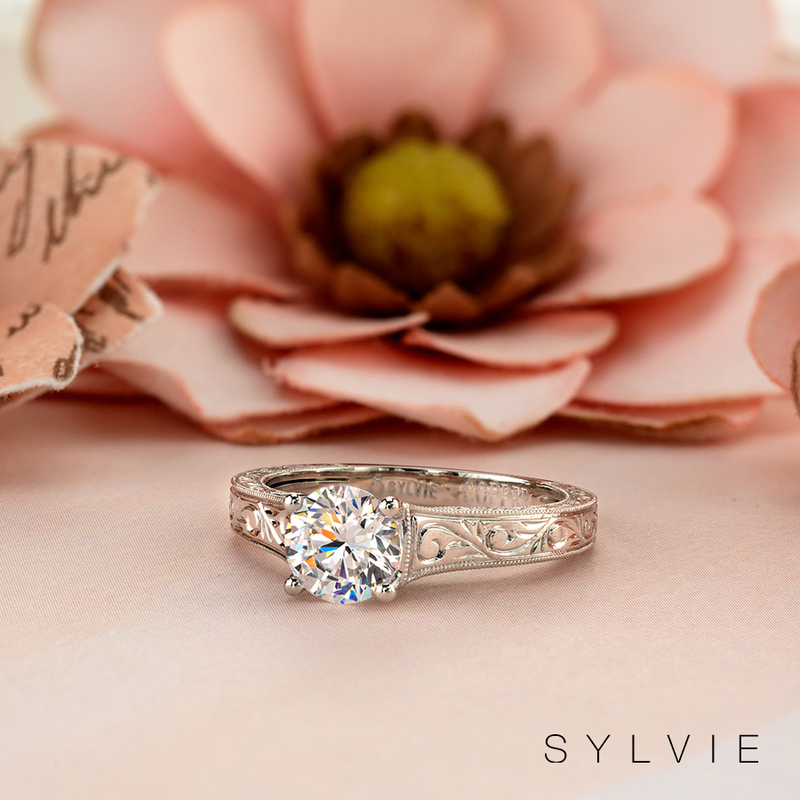 At Sylvie we carry rose, yellow, and white gold and all of our engagement rings come in 14k, 18k, and platinum! Mix and match or stay with one color palette for a classic or an out of the box ring. Check out our ring guide for information all about our diamond shapes, color, cut, clarity and metals! If you’re still a little doubtful, remember that you know her best! Sometimes it just comes down to the moment where you see an engagement ring and realize that is the ONE. You have a moment of clarity or the ring makes you think of her. Some grooms even say that they knew that the ring was meant to be – that is was their bride wrapped up in a ring. Just wait for that feeling because it will come! If that happens, don’t look back because you’ve found the one just like your bride!